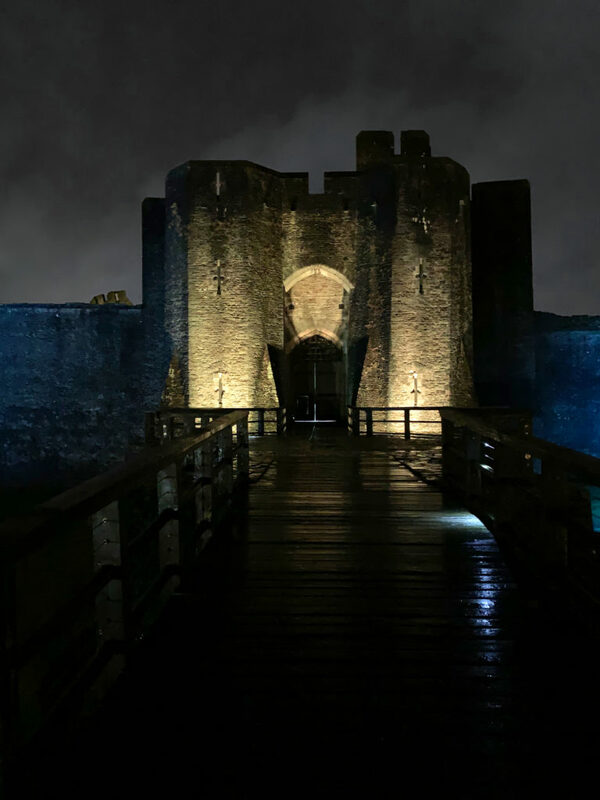 Constructed in the 13th century, Caerphilly Castle is an extensive medieval fortification located near Cardiff in southern Wales. It is one of the largest castles in the United Kingdom, and is encircled on all sides by artificial lakes, said to be ‘the most elaborate water defenses in all of Britain’. The north and south lakes around the castle are created by fortified dams. The southern dam features eight large buttresses, and the northern dam is fortified by three great towers. 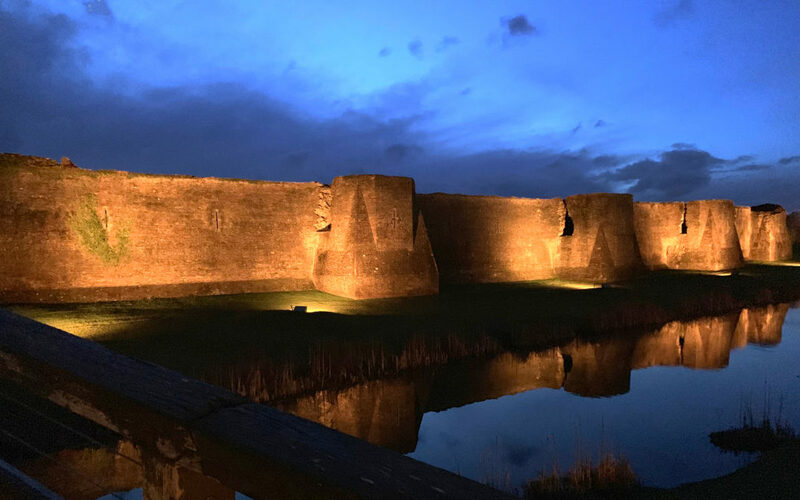 Pulsar’s brief was to provide illumination for the fortified walls and towers that protect these dams. Additionally, Pulsar were to illuminate the huge outer gatehouse that comprises the main entrance to the castle. Pulsar’s flagship LUXEOS 36 floodlight was chosen to illuminate these grand and imposing structures, due to its powerful light output and versatile beam angle options. To light the wall sections, HBS (holographic beam shaping) diffusers were fitted to provide exactly the beam spread required. 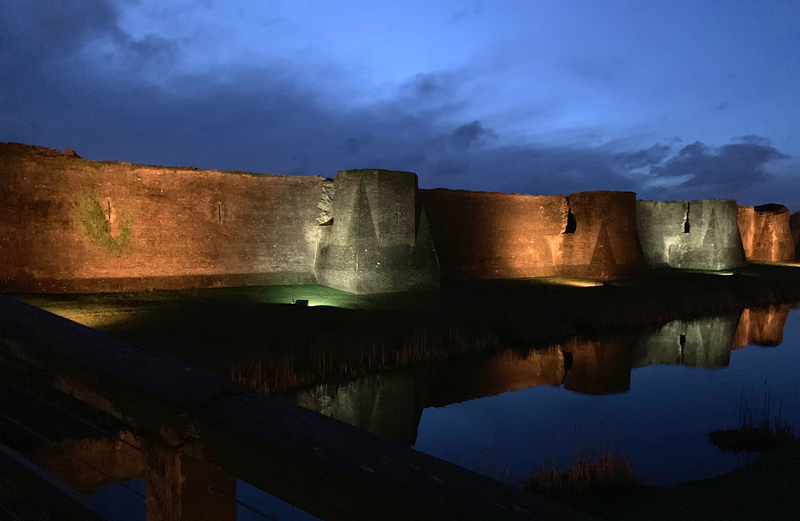 To provide some accent uplighting for the two tall towers flanking the gatehouse, Pulsar installed four smaller LUXEOS 09 floodlights to compliment the LUXEOS 36 floods situated further back. The south dam required the fixtures to be placed right up against the walls. To light the facade a wall washing approach had to be taken rather than floodlighting. 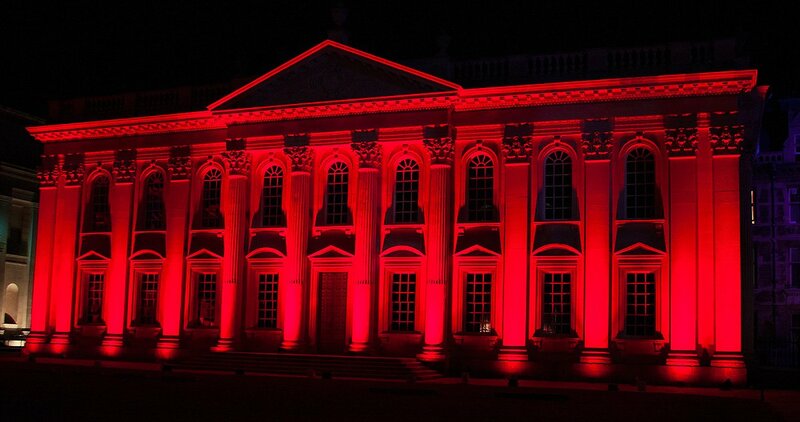 To achieve this, 16 Pulsar ChromaPowerLine 100 TC linear fixtures were used. 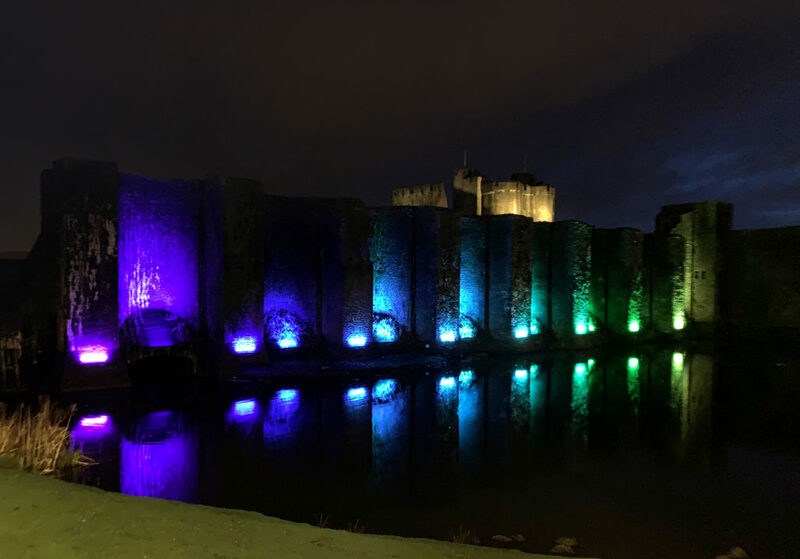 The lighting scheme needed both high quality white light for general purpose lighting, and colour changing lighting for special events, occasions and national holidays. Pulsar’s VC (Vivid Colour) light engines provided the perfect solution for this, featuring high output, high CRI white LEDs along with wide gamut colour mixing. Pulsar DS5 Datasplitters distribute control data from a Pharos system to the whole installation. A TPC (touch panel controller) makes it easy for onsite staff to control the lights, depending on requirements at the time. They have the ability to pick and choose from a wide selection of pre-programmed effects, or control the lights in each area manually. Designed specifically for lighting architectural facades, Pulsar’s ChromaPowerLine is a rugged, IP66 high power linear luminaire designed for the most challenging environments. Our factory and offices are located in Cambridge, UK where we have been making lighting equipment for more than 40 years.